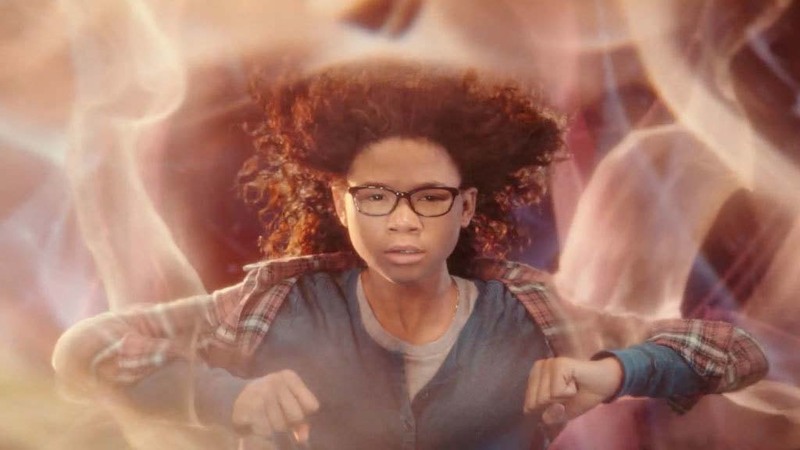 Disney’s most recent adaptation of A Wrinkle in Time is an artistic, purposeful, and meaningful one (along with a few wrinkles here and there). 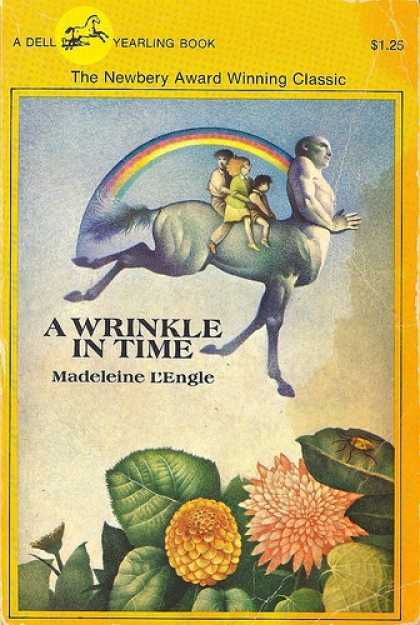 Based on the 1962 Newberry Award-winning fantasy young adult novel by American author Madeleine L’Engle, the film tells the story of Meg Murry (played by Storm Reid), a high-school aged girl who is unsure of her place in the world and who is still grieving the loss of her scientist father (played by Chris Pine) who has been missing for many years. When Meg’s little brother Charles Wallace (played by Deric McCabe) introduces her to strange supernatural friends named Mrs. Whatsit (played by Reese Witherspoon) and Mrs. Who (played by Mindy Kaling), and, later, Mrs. 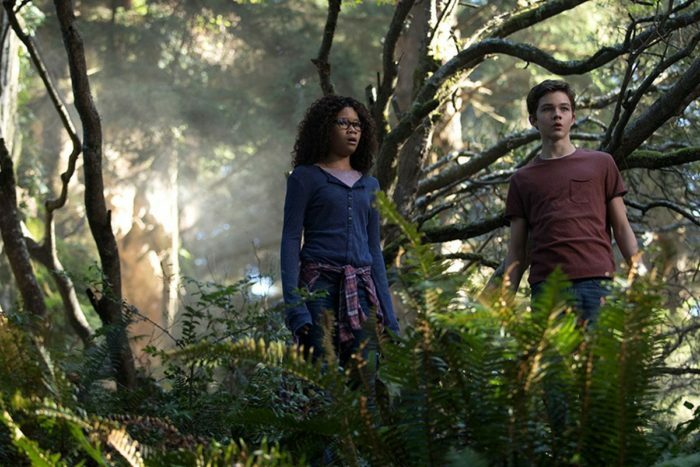 Which (played by Oprah Winfrey), Meg, Charles Wallace, and Meg’s school friend Calvin (played by Levi Miller) embark on a journey through time and space to rescue Meg’s father who is being held against his will on another planet by a nefarious, dark force. Director Ava DuVernay (Selma) and screenwriter Jennifer Lee (writer and co-director of Walt Disney Animation Studios’ Frozen) took on an ambitious and challenging task in adapting again this beloved yet complicated book into a feature film. The results are mixed–the pacing is uneven, some of the characters’ motives don’t seem quite right (or at least not in line with logic and/or the source material), and the characters’ interactions with the excessive and sometimes sloppy CGI occasionally tipped the scales into confusing and/or ridiculous territory. However, Ava DuVernay and her team have crafted overall a wonderful work of art. Each scene in the film had a very noticeable sense of intimacy, of artistry, and of care. Each costume, from Meg’s simple flannel shirt to Mrs. Which’s architecturally inspired hair styles, provided visual interest, uniqueness, and wonder. Each set and setting were created carefully and with skill and expertise. And the timeless themes of familial love, fighting darkness with light, being courageous, and being yourself are presented with honesty and with a deft touch. 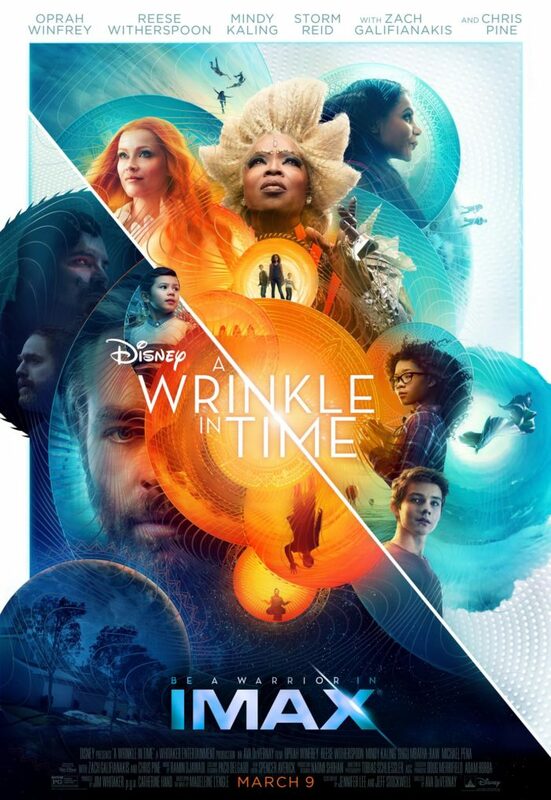 While the filmmakers and others are calling this interpretation of A Wrinkle in Time a black girl-power movie, I think of it more as a kid-power movie–a film where all children can start thinking about the importance of using their brains to solve problems and of using their hearts to fight the darkness both within and without themselves. As an added bonus, check out this cool poster made for the film’s exclusive IMAX screenings.